“And I met a lady," he adds, "and decided that I wanted to kind of figure out what I was going to do with my life. I went to community college, and after a little while I kind of started to be attracted to accounting. ... What's crazy is that I'm about two semesters away from getting my accounting degree, and then this music thing showed up and ruined my life." It's almost unimaginable to think that this earth-rattling, soul shaking voice was only mere semesters away from being lost to the world in exchange for a career involving cubicles and number-crunching. Thankfully, the universe had other plans, as Paul and company are now churning out some of the greatest neo-soul music we’ve ever heard. The band, comprised of trumpeter Allen Branstetter, saxophonist Jerome Amori Ansari, trombonist Chad Fisher, guitarist Browan Lollar, drummer Andrew Lee, and bassist Jesse Phillips all kicked off the show with the opening track “Crumbling Light Posts,” from their new album, Sea of Noise. Paul Janeway took the stage shortly after, donning a black monk’s robe, which he removed to reveal a badass cheetah print suit/pants combo. His voice drew the sold-out crowd into a frenzy, then into a hushed, communal sense of awe. They wasted no time dispensing the funk, jumping right into the second single off Sea of Noise, “Flow with It (You Got Me Feeling Like)”. A throwback to their first album came next, via the guitar-driven track “Like a Mighty River”. The band seems to have mastered the art of changing up the dynamics of their show, creating a perfect push and pull balance when it came to song selection. One second, you’re getting soulfully lulled to sleep in the best way possible; the next Paul slaps you in the face by summoning the forces of nature through his vocal mastery while the band pumps out funky soulful jams. “Broken Bones & Pocket Change” was the track that drew the wildest ovation from the crowd—a slow-burner that gradually built up and exploded when Paul dropped to his knees, pouring his entire being into this song about a love lost. The “greatest hits” portion of the show, as Janeway jokingly referred to it, saw them perform several of their most popular cuts from their first album, such as “Call Me” and “Don’t Mean a Thing”. They wrapped it up with a three song encore, the highlight being their cover of Van Morrison’s “I’ve Been Working”. The entire show felt like going to the funkiest, most soulful non-denominational church in all of the land. Janeway’s religious upbringing definitely became evident, as was his sway over the crowd’s emotions. 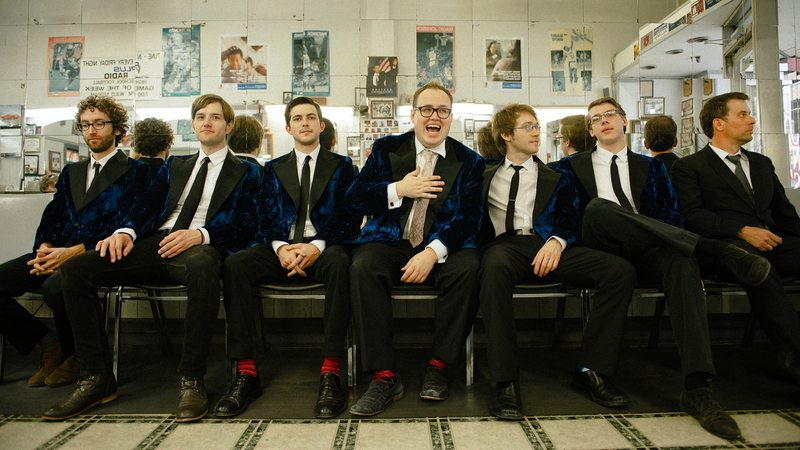 Be sure to track St. Paul and The Broken Bones on Bandsintown to ensure that you don’t miss an incredible live performance like this one when they come to a city near you!